6. Adjust the lumbar support to fit the curve of your lower back. There should be even pressure along your spine, with no gaps. If your vehicle doesn't have a lumbar support you may need to use a lumbar cushion. Your physiotherapist can help you choose a cushion with a good shape for your spine. Your physiotherapist will be able to develop a "stretch break" plan that is just right for you. 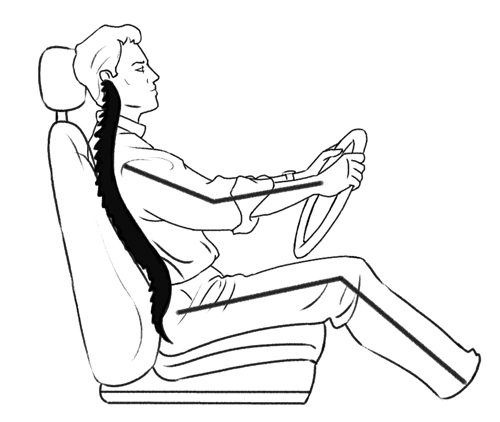 This is particularly important if you have a history of back problems or are susceptible to discomfort brought on by driving. 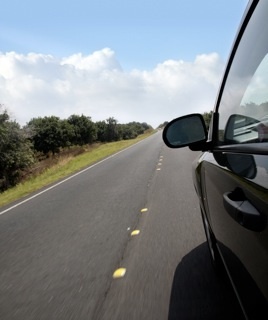 If you have a healthy back you may like to try the exercises below to help you stay comfortable should you have to drive for long periods of time.